It’s when temperatures fall in the autumn that road safety becomes even more important. The rubber used in summer tires begins to harden at 7°C, reducing their grip on surfaces. 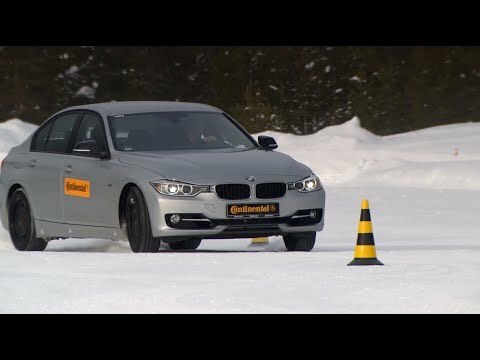 Thanks to an innovative rubber compound, the winter tires made by Continental remain flexible and elastic even when the thermometer plunges well below zero. So you can relax, safe in the knowledge that we are looking after you. In Europe, tires are required by law to have at least 1.6 mm of tread. However, experts agree that tires with less than 4 mm are not suitable for winter use and can increase the risk of an accident, especially in cold weather. The lower the tread depth, the greater the braking distance. For this reason, drivers should check their winter tires at the beginning of each winter driving season. Safe transport of goods and people through the winter.